Welcome!! !Get some of the greatest products in the world of archery; products that will help you and your bow shoot more efficient. You may start to shoot like a pro, tighten up your groups, and save money at the same time. 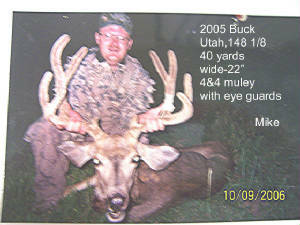 Shoot that big buck even when buck fever hits ,or when a tournament fever shakes your hands and knees. Even with movement like these, you can hit your mark. Just keep aiming! 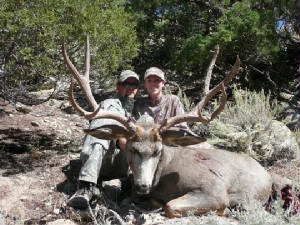 Chelsea Harris shot this monster 35 inch muley at 40 yards, about 2 months before the Wyoming Archery hunt started. Chelsea and McCort came to me for help setting her up for archery in 2009. She had never shot before ,so I set her up with a older Hoyt MT, Sport bow, Stealth Hunter-rest , My strings, and Victory VforceHV arrows. After spending a couple hours showing her how to grip and hold the bow back tenstion with and tuning the bow, she went home and shot like robin hood. Three weeks before the hunt they returned with problems. She wasn't grouping like she was before, after working with her arm and grip she was back on track and killed this awesome buck. Mike's Archery-"Shoot like a pro!" You can contact me with questions or money order. 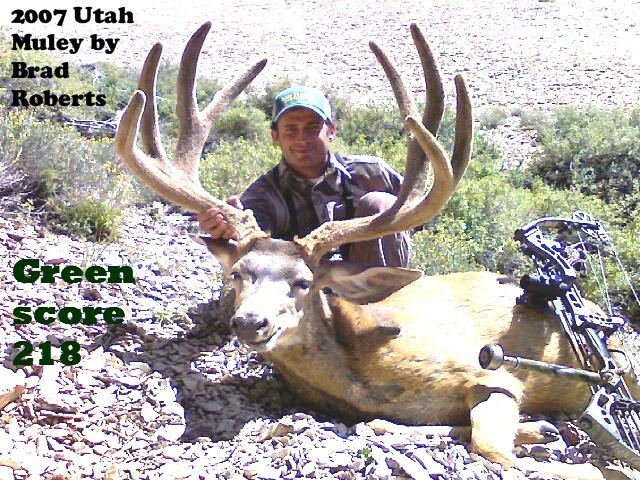 Thank you to all my customers and great success in archery! Working together for better archery products.